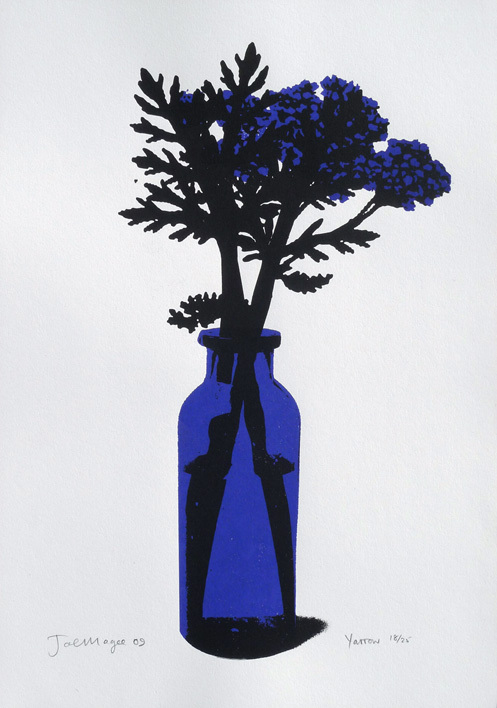 Joe Magee produces hand-made limited edition prints in a variety of media - primarily silk screen, linocut and collograph. These prints are created using the highest quality papers and inks. Each is signed, dated and numbered in pencil by the artist. Edition quantities are kept low. Joe has regular exhibitions displaying new and rare prints not displayed on the web - look out for forthcoming shows. He has prints in the permanent collections of University of the Arts London and University of Bath. Paper type Somerset Velvet, off-white, deckled edge. Print type CMYK Machine Lithograph. Ultra high screen, no visible dot. Paper type Fabriano 50% Cotton. Paper type Fabriano Artistico, natural white, one deckled edge. Signed By Joe Magee and Bill Bailey in pencil. Paper type Somerset Satin, white, deckled edge.